In 2009, MBDC certified more than 100 products, bringing the total number of products certified to more 300 since the program launched in late 2005. 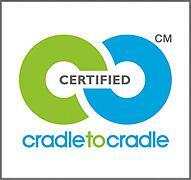 In 2009, 14 products achieved Gold-level certification, Cradle to Cradle’s second highest level of achievement. The program has four achievement levels: Basic, Silver, Gold and Platinum.